"Devotion to duty determines your destiny"- An hour long exciting interaction with Mr. Ashish Bhasin-Alumnus of 1988 batch- kicked off with this inspirational quote, on the eve of 27th July 2015. 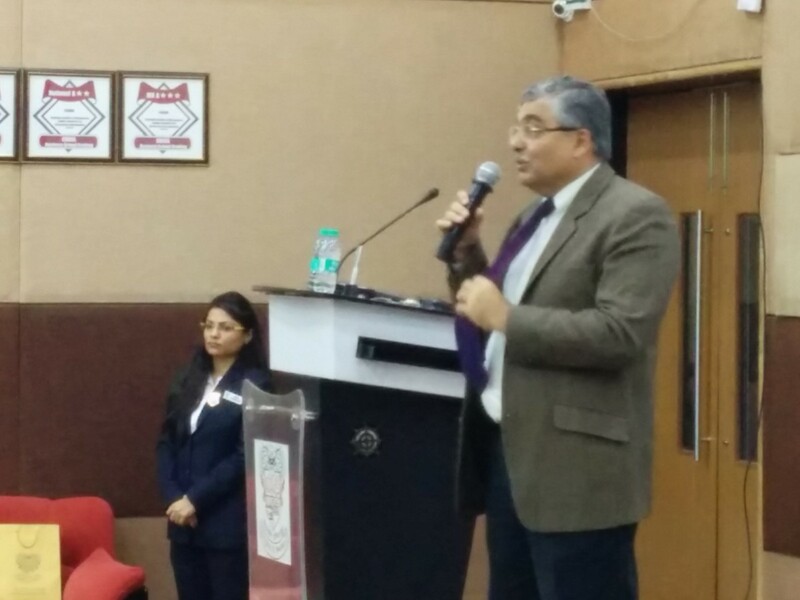 The Alumni Committee was delighted to have Mr. Bhasin as a guest speaker during the induction of batch 2015-17. A veteran in the advertising industry, sir started by walking students through his career journey. Having worked in the world of advertising, sir briefed students about the evolution of advertising in India and how rural consumer is important and how content makers are trying to stay relevant with the evolving needs of consumer. Sir also talked about the objectives and history of Sydenham Institute of Management Alumni Association-SIMAA organization since it's inception at length. Mr. Bhasin, himself a voracious reader, urged students to cultivate habit of reading various subjects and continuously keeping oneself updated with latest happenings around. Sir highlighted that many aspirants walk into to industry without being well read and regret the consequences. Sir applauded youth on their zeal to win and also advised to do the right thing irrespective of the situation because it would pay in the long run. The lecture concluded with Q&A session where students were eager to understand Sir's views on recent trends like digital marketing, consumer buying behavior. Sir responded with plethora of industry examples. It was indeed a very heart warming and inspiring lecture for the students of the new batch.